When the Government of Andhra Pradesh enabled technology usage for its the Mid-Day Meal scheme, it found out that redundancies were in excess of six lakh students. Now, given that the Mid-Day Meal scheme is run by almost every state, the nation-wide excesses would easily turn out to be scary. DBT, through its direct and time-bound transfer system, has enabled governments to transfer benefits using just an individual’s bank account number, preferably linked through Aadhaar. With the help of a vast network of business correspondents, DBT is taking banking to the doorsteps of beneficiaries who earlier did not have access to modern financial services. Technology usage in DBT is helping governments to accomplish the objective of ‘Maximum Governance and Minimum Government.’ Notably, DBT has found a place in the Guinness Book of World Records as the largest direct benefit transfer scheme. The DBT Mission was initially created to act as the nodal agency for implementation of DBT in government schemes. Subsequently, it was transferred to the Department of Expenditure, Ministry of Finance and later to the Cabinet Secretariat under the administrative control of the Secretary—Co-ordination & PG. DBT is made up of two critical pieces, namely Jan Dhan Yojana and Aadhaar cards, which allow subsidies to be directly credited in beneficiaries’ bank or postal accounts. In a nutshell, they together minimize the number of levels involved in the flow of benefits, accurately target beneficiaries, curb pilferage and duplication, and consequently reduce delays in payments. DBT was first rolled out in January 2013 covering 20 districts, but it was only in the 2014–15 timeframe that it was spruced up with a user-friendly government-to-citizen (G2C) interface. It has since developed into delivering direct entitlements to eligible individuals and households in a fair, transparent, efficient, and reliable manner. The growing network of bank branches and business correspondents, coupled with micro ATMs, makes it a citizen-friendly process, ensuring last-mile connectivity and enabling actual disbursements at the doorstep of beneficiaries. DBT has been implemented in multiple centrally sponsored schemes in phases. During the first phase, districts were identified on the basis of higher incidence of beneficiaries with bank accounts and where fund flow was found to be relatively simpler. The second phase saw inclusion of scholarship schemes, LPG subsidies, and National Rural Employment Guarantee Scheme. In the past three years, DBT has shown promising results, particularly exemplified through Pahal (LPG subsidy), Public Distribution System (PDS), and MGNREGA payments. As of May 2017, DBT was being administered for 238 schemes and over 52 percent of the total beneficiaries had been linked through the Aadhaar payment Bridge. 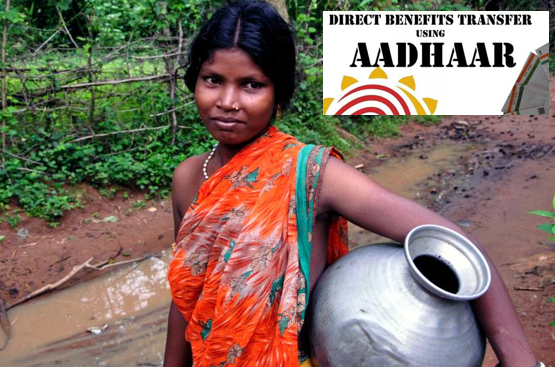 The number of DBT beneficiaries stood at 31.45 crore, of which 28.1 crore were seeded with Aadhaar. The potential savings in programs like Pahal, and food distribution are pegged at around Rs 15,000 crore and Rs 28,000 crore, respectively, per annum. For MGNREGA and National Social Assistance Programme (NSAP), the savings are pegged at Rs 1,200 and Rs 2,500 crore, respectively per year. Currently, each ministry or department maintains its own database of beneficiaries, which duplicates the effort and hampers subsidies for individuals as well. A unified database may be created by capturing the unique Jan Dhan, Aadhaar, and Mobile (JAM) details of individuals. Such a bedrock database could act as single source of truth for all government policy and planning, and for implementing various welfare programs. This would lead to a scientific approach to policy formulation and also provide huge efficiency gains for the government.